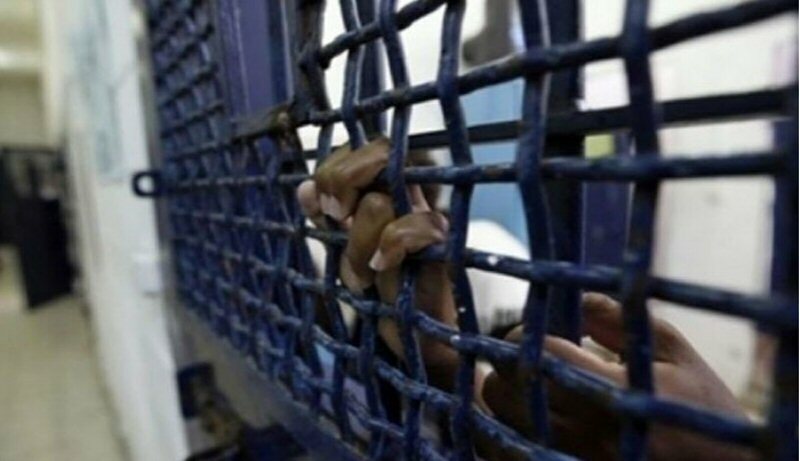 TRNN’s Greg Wilpert speaks to Antony Loewenstein, author of an article called “Exporting the Technology of Occupation.” He shows the growing connection between Israeli offensive cyber companies and mass surveillance, in the service of authoritarian governments around the world. A small number of Israeli companies are all playing a growing role in the persecution of human rights activists in Mexico, in the murder of Washington Post journalist Jamal Khashoggi in Istanbul, in the attempt by Harvey Weinstein to silence women who complained about sexual harassment by him, and in general in helping authoritarian governments around the world to maintain their power. Now, Israeli Prime Minister Benjamin Netanyahu spoke last year about Israel’s role in the global cybersecurity market. BENJAMIN NETANYAHU: Israel receives today about 20 percent of the global investment, private investment, in cybersecurity. That’s a lot given that we are one tenth of 1 percent of the world’s population. This means that we’re punching about 200 times above our weight. Here are the sales that we actually received. You see it going up. It will go further and further up, because of the private investment soaring in Israel because of the obvious need, and the fact that Israel has become a focal point. My goal was to make Israel, eight years ago, to make Israel one of the five leading cyber powers in the world. I think we’ve reached that. I think we’re actually maybe even further ahead on that list. GREG WILPERT: A new article published in The New York Review of Books exposes the growing cybersecurity sector in Israel, and how this technology is being sold to countries and shady characters around the world. It was written by Antony Loewenstein, and it’s titled Exporting the Technology of Occupation. So what is the reason that so much of the cybersecurity technology comes from Israel, and how does it affect our lives? To discuss these questions we are joined by Antony Loewenstein, the author of the article. Antony is an independent journalist and author of the book Disaster Capitalism: Making a Killing Out of Catastrophe. Thanks for joining us again, Antony. GREG WILPERT: So, speaking of the occupation, in what way does the occupation of Palestinian territory and populations serve as a commercial advantage for these Israeli cybersecurity companies? 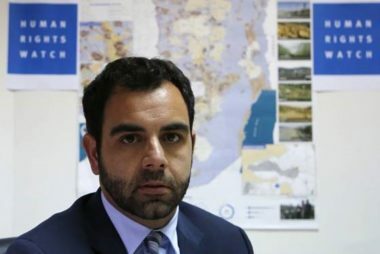 ANTONY LOEWENSTEIN: In 50 years, since Israel started occupying the West Bank and Gaza, it’s been since 1967, Israel has in some ways perfected, so it thinks, the idea of maintaining and controlling a population they don’t want, which is the Palestinians. 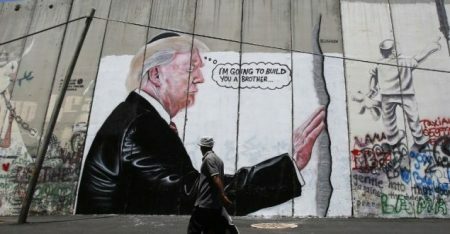 So in the last 20 years through various methods–sensors, drones, walls, barriers, various other methods–various Israeli companies and the Israeli government have found ways to manage a population they don’t want. What they’ve done with that, particularly since Netanyahu became president again, prime minister again, 10 years ago, is essentially to sell that technology and those methods to the world. And the way they do that is they say something’s so-called ‘battle tested.’ So weapons, drones are tested in Gaza, for example. There’s been three major wars in Gaza in the last 10 years. And literally the companies that are selling this equipment and technology say it’s been battle tested. In the cybersecurity area, that’s an area that’s particularly expanded in the last five or so years. We have many Israeli individuals, foreign generals, security analysts who used to work in some of the most–in some of the most secretive Israeli cybersecurity areas taking that information technology to the private sector, with still very, very close ties to the Israeli state. So the idea, for example, of monitoring and surveillance–the ability, for example, to monitor someone’s smartphone, whether it’s an iPhone or an Android phone, without you even realizing. And there’s been countless examples, and you mentioned some of those in the introduction, in Mexico, the death of Jamal Khashoggi. 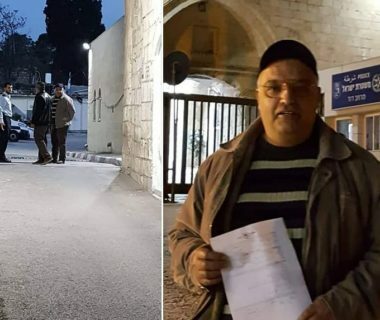 A colleague of his in Canada, a dissident, Saudi dissident, supposedly his phone was hacked by Saudis, technology that had been sold by the Israelis. And therefore the Saudis knew exactly where Khashoggi was going to be going and what he was going to be saying. So Israel, in some ways, has used its decades of experience of the occupation, and selling that around the world to countries that find that a very appealing idea. GREG WILPERT: So Israel’s Haaretz newspaper recently published interviews with workers from Black Cube, from the NSO Group, and also with workers from the more secretive Candiru company, which changes its name often. From these interviews it emerges that Israeli companies are very willing to sign deals with repressive authoritarian governments to engage in industrial espionage, and are fairly unconcerned about the damage that this could inflict on their reputation. Are Israeli companies showing less concern for ethical violations than non-Israeli companies? And if so, why is that? ANTONY LOEWENSTEIN: If you look at the top 10, for example, defense contractors in the world, Israel is but one. Obviously it’s Russia, there’s the U.S., which is the main one by far, you have France, many other countries. All of them sell weapons to repressive regimes. There’s no question about that. So on that level Israel’s not unique. However, the cybersecurity and intelligence and surveillance technology is particularly pushed by Israel and the U.S. Israel’s experience in this area, I think, is partly, as I said, from years of occupation, and learning these technologies to monitor Palestinians in the West Bank and Gaza, but also in Israel itself. Israel has an incredibly sophisticated surveillance technology that they use to monitor Palestinians under occupation. And in fact, often their technology is used, particularly in the last few years, to monitor people on Facebook. And often people are arrested literally for just writing a post on Facebook. So is Israel unique in that way? Yes and no. What is also important to say is that one of the issues that Israel is increasingly finding is that although they advertise their wares–usually privately, but also publicly–as battle tested, there are other countries such as Russia that has had years and years of experience fighting with the Assad regime in Syria, that’s also saying that they now has battle tested weapons and technology. So Israel, I think, is worried that unless they continually push the envelope, so to speak, selling to more and more regimes, they’re going to come and lose behind. And also, not unimportantly, Israel uses this also for diplomatic purposes; that one of the reasons Netanyahu sells weapons and this surveillance technology to many repressive regimes is to try to get diplomatic support. So for example, in the last years he’s pushing the hugely influential market in Africa; repressive regimes that are killing and surveilling their own citizens. Israel wants to get more support within the U.N. for Israel, and therefore by supporting and backing and arming and giving the sort of weapons and surveillance equipment to repressive regimes in Africa and elsewhere, Israel hopes that the hugely … Whenever there’s a UN vote about Israel it’s usually the entire world’s on one side and the other side is the U.S., Israel, Micronesia, maybe Australia. They want to have more countries on that other side. And this type of technology is also used for geopolitical reasons, too. GREG WILPERT: Now, the Canadian orgnaization Citizen Larned has found evidence that this group and other companies hack the phones are citizens of different countries. The programs that were developed for such attacks, such as Pegasus, could be as deadly as any bomb or missile, as we’ve seen in the case of the murder of Jamal Khashoggi. What kind of protection is there to control and regulate this technology, and protect the privacy and civil rights of private citizens of any country in the world? ANTONY LOEWENSTEIN: Well, there are a few answers to that. Journalists that I speak to often joke that in fact the safest way to communicate these days is by pen and paper. Now, of course, that’s not very practical for many, many people who want to communicate with individuals around the world. But there’s an element of truth in that, that in fact communicating these days by any kind of device–a phone, a computer–by definition can never be 100 percent secure. Having said that, there are certain apps. Signal, at the moment, it’s a communication app on the phone, is apparently secure, as far as we know. Whatsapp, though, is apparently not. And in fact we know that because, for example, the Saudis, as I said, used Israeli technology to hack the phone of a dissident, a colleague of Jamal Khashoggi. One of the things I think, also, people can do is, obviously, encrypting their messages. And I think also just being aware that communicating on certain platforms–including, for example, Facebook Messenger, is very unsafe. So if you’re communicating in that way, if it’s just kind of banter with family or friends, [inaudible] doesn’t matter, unless you have very private thoughts you want to keep to yourself. But be aware of the fact that there’s very little one can do. And in fact, Edward Snowden, the former NSA whistleblower, has been spending years trying to find ways to develop a–almost a hack-free phone. There are those phones that exist. They’re always on a different operating system, away from Apple and Android. And I think as years go on, where more and more people are, in fact, becoming aware of the complicity of many of these communications companies in surveillance–Facebook, Google, Apple–how do we actually get away from these kind of companies and actually find an alternative where we can communicate securely? So journalists and activists, or just human beings, anyone who wants to communicate anywhere, should be very aware of the fact that it’s almost impossible to communicate 100 percent securely with the current technology that most of us use, which is a very sad reality. GREG WILPERT: Well, we’re going to leave it there for now. 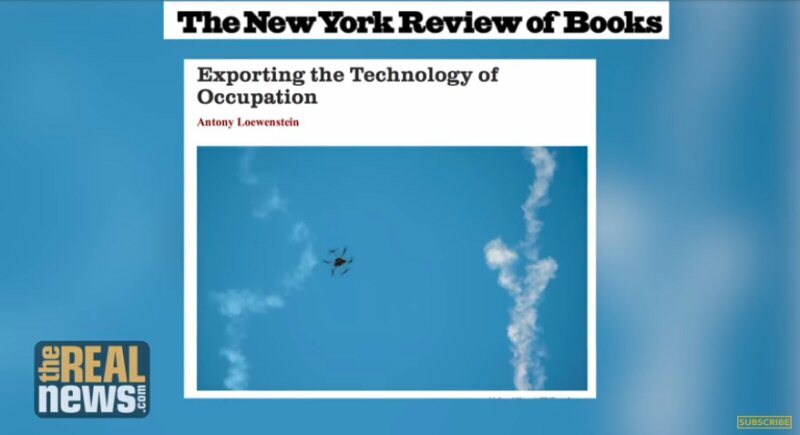 I’m speaking to independent journalist Antony Loewenstein, author of the article Exporting the Technology of Occupation. Thanks again for having joined us today.